Welcome to our new and improved site! Please Take your time exploring all of our new items. Talon 15 is a 15 amp controller with an outlandish 8 amp BEC. Applications range from foamies to micro, and sub-micro helis running up to 4S and pulling 15 amps. As with any Castle ESC, the Talon 15 offers Castle's industry-leading functions, and easy programming using the Castle Link USB adapter (coupon for free Castle Link included), or the Castle Field Link Portable Programmer (sold separately). The Talon ESCs are programmed to sound a number of tunes and codes using the motor as well as flashing LED patterns to alert users to certain conditions regarding their power system, such as over temperature, excessive load and locked head speed. Telemetry has the potential not only to improve the safety of our models by monitoring battery voltages, ESC temperature, and other critical parameters, but it also creates other opportunities to get even more fun out of flying because you’ve essentially reduced the risks of “unknown” inevitable crashes. Think of the benefits to be had from alarms that will sound to warn you when there's interference about or if your receiver battery is running unexpectedly low. 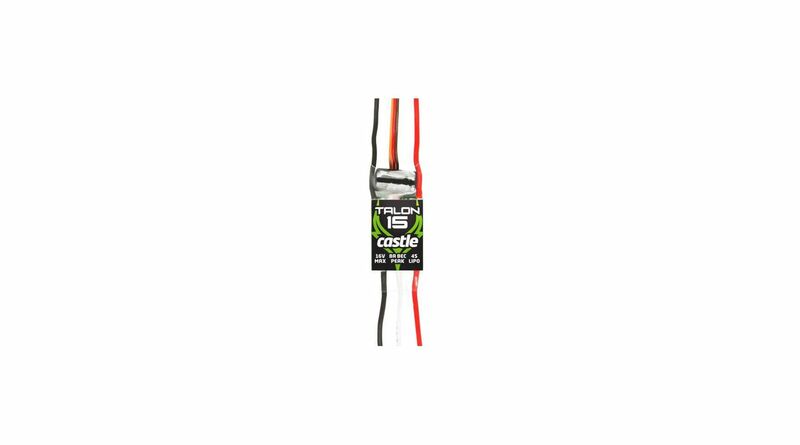 Requires purchase of Castle Telemetry Link for S.BUS2 (Item # 010-0152-00) and compatible Futaba Radio or Castle Telemetry Link for X-BUS (Item# 010-0148-00) and a compatible Spektrum Radio. Castle Creations, Inc. warrants this product to be free from manufacturing defects for a period of one year from date of purchase. 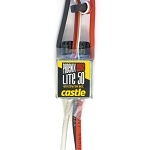 Fully programmable Castle feature set using Castle Link USB adapter (coupon for free Castle Link adapter included in package) and freely downloadable Castle Link Windows software. (A small subset of the settings available through Castle Link Windows software can be accessed via manual programming through the transmitter stick). Programmability: Fully programmable Castle feature set using Castle Link USB adapter (coupon for free Castle Link adapter included in package) and freely downloadable Castle Link Windows software. Copyright Team Legit. All Rights Reserved. e-Commerce Software powered by 3DCart.